Consistency of a person's saliva also makes a difference, thinner saliva breaks up and washes away food more quickly. When a person eats diets high in carbohydrates and sugars they tend to have thicker saliva, which in turn more of the acid-producing bacteria that causes cavities. 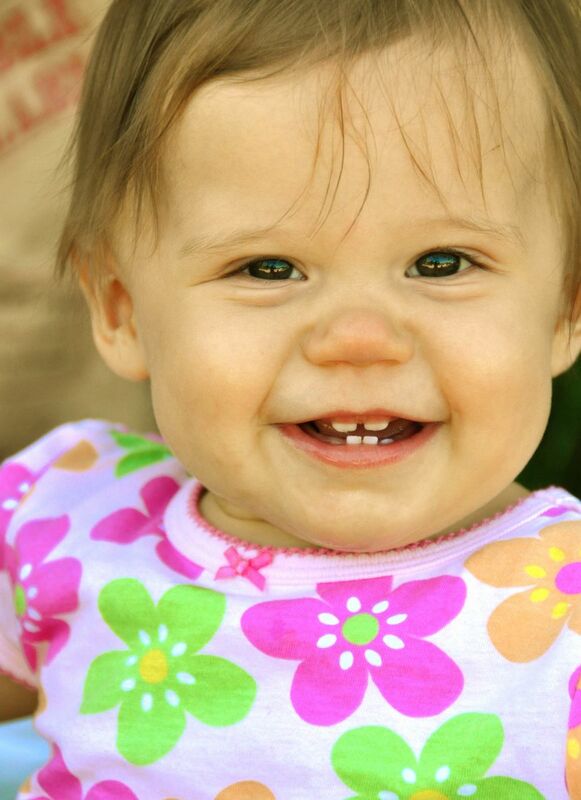 The first baby teeth come into the mouth are the two bottom front teeth. You will notice this when your baby is about 6-8 months old. Next to follow will be the 4 upper front teeth and the remainder of your baby's teeth will appear periodically. They will usually appear in pairs along the sides of the jaw until the child is about 2 1/2 years old. At around 2 1/2 years old your child should have all 20 teeth. Between the ages of 5 and 6 the first permanent teeth will begin to erupt. Some of the permanent teeth replace baby teeth and some don't. Don't worry if some teeth are a few months early or late as all children are different.Baby teeth are important as they not only hold space for permanent teeth but they are important to chewing, biting, speech and appearance. For this reason it is important to maintain a healthy diet and daily hygiene.